In the Spanish autonomous province of Valencia, you can discover a remarkable variety of landscapes far from the long beaches of golden sand found in most conventional tour guides. Dry, desert-like areas, river valleys and fertile foothills give rise to great diversity in the wines made here. The region encompasses three DOs: D.O. Valencia, D.O. Alicante and D.O. Utiel-Requena. Among them, the wines from Utiel-Requena are probably some of the most exciting. The area has developed dramatically in the past few years, planting more vineyard area and opening new wineries. Some of the more diligent producers are paying homage to their roots through wines made from their native grape: Bobal. This variety’s newfound nobility is causing a stir among the treasure hunting wine geeks worldwide. Located west of the Comunitat Valenciana -70 km from the Mediterranean Sea and the city of Valencia- Utiel-Requena occupies a large circular plateau of approximately 45 km in diameter, with altitudes ranging from 600 to 900 m. above sea level. Enclosed by two mountain ranges to the South -the Sierras de Malacara and Maltés- and by the rugged course of the Cabriel river to the west, the region features two main types of soil, alluvial -river bed- and clay with limestone deposits. The Continental climate defined by long and cold winters and relatively short, dry and hot summers is homogenous throughout the region. Utiel-Requena also benefits from the influence of the Mediterranean and the effect of the Poniente (warm, dry winds blowing from the west). Conditions are extreme, but considered optimal for grape growing. Accordingly, the area boasts over 40000 hectares (99000 acres) of vineyards and a deeply rooted viticultural tradition: finds from the Kelin archeological site bear witness to 2000 years of winemaking history. Utiel-Requena was established as a DO in the early 1930’s and it developed commercially following the Utiel-Valencia railroad line. The region was known mainly for bulk red wines until the late 1990s, when it was transformed by the influx of young blood and new wineries committed to the production of quality focused wines. 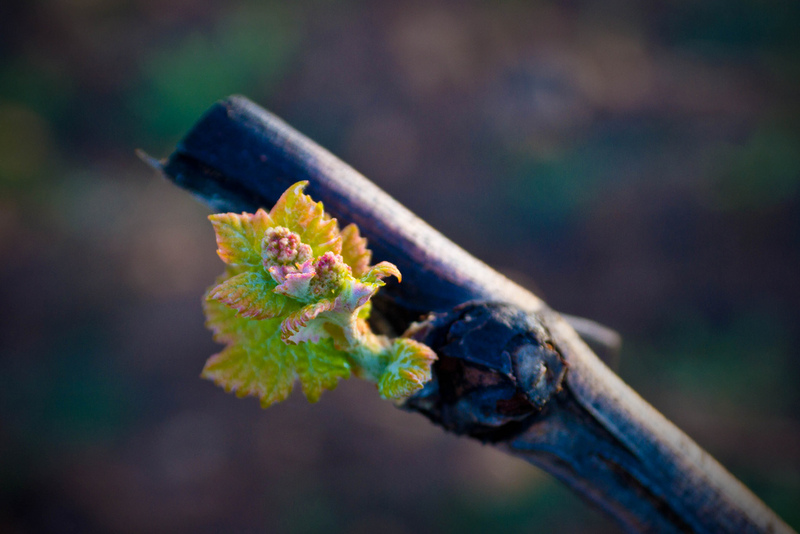 Despite being totally adapted to the harsh climatic conditions in the region, the Bobal grape -which accounts for more than 80% of the vineyards and is native Utiel-Requena- was commonly considered a vulgar blending grape when compared to the other international red varieties approved by the DO: Cabernet Sauvignon, Merlot, Syrah, Tempranillo and Garnacha. Late flowering (which prevents the plant from being affected by most of the winter frosts) and a vigorous and productive variety that thrives in the heat (temperatures in the summer can soar over 38ºC/100ºF), Bobal’s main problem is uneven ripening (maturation differences can be found in clusters in the same vine, even in grapes in the same cluster) and needs to be green-pruned and thoroughly selected in the winery to produce quality wines; nevertheless, its dark fruit, good acidity levels and moderate alcohol make it ideal for aging. 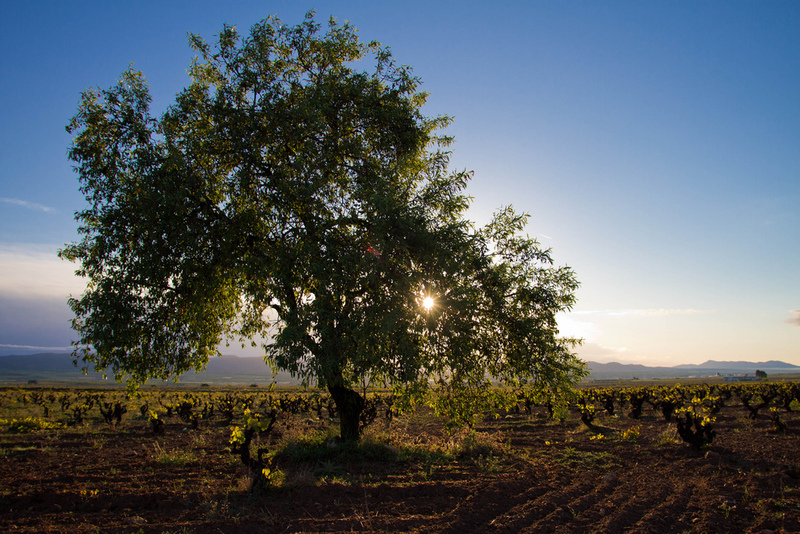 The fact that its practically unique to Utiel-Requena is probably another deciding factor in its modern resurgence, as a good number of producers are trying to raise the wines from the region to new heights. Wines from Utiel-Requena are classified using a system that is comparable to other Spanish regions, including the categories Crianza (six months aging in oak), Reserva (3 years aging with a minimum of 12 months in oak barrels) and Gran Reserva (60 months aging with a minimum of 24 months in oak). Its important to note that the wines made with Bobal will usually also have the “Tradición” type noun on the label, guaranteeing at least 70% of the variety in the blend. Traditionally, the more concentrated and extracted wines will also be labelled “Superior”. Historically, 100% Bobal wines from Utiel- Requena were very hard to find. Today, the variety can be found as the main grape in blends for Red and Rosé wines. Typically, the vinification of Bobal follows a particular winemaking system called doble pasta, where the grape pulp and skins left over from the winemaking of rosé (vinified by the bleeding method) are added to the crushed grapes during fermentation, securing high color, extracts, and tannins for red wines. Home to over 100 bodegas and cooperatives, Utiel Requena is certainly ready to make itself known to visitors. The DOs headquarters, the Bodega Redonda in the town of Utiel, is the starting point for those wanting to discover the region and its wines. Among the area’s best examples of Bobal based wines: DNA Murviedro Bobal from Bodegas Murviedro and Valsan 1831 Bobal are good examples. Among the newer, more concentrated yet also elegant styles, the miltiawarded Pasión de Bobal from Vinos Sierra Norte; the excellent BO Bobal Único from the Vicente Gandía winery and the Utiel-Requena projects by David Sampedro and Bruno Murciano La Malkerida and El Sueño de Bruno are wines to watch out for. Keep your eyes open, as most of these can be easily found on the shelves of the more discerning wine retailers in the UK and USA. With a climate ideally suited for grape growing, a unique grape variety and a score of growers and winemakers passionate about preserving their heritage and rewriting the modern wine story of their region, the DO Utiel-Requena has sparked the interest of the true wine aficionados worldwide. Those who celebrate diversity and authenticity be prepared! In the world of Spanish wines, there’s always something new to discover.